-Combine the meat, onion, garlic, parsley, and spices. Mix well and form into small balls the size of grapes. Place in a baking pan. -Bake at 350˚F (180˚C) until browned, about 15 to 20 minutes. You can also pan-fry them. -In a skillet, heat the oil and saute the onion and garlic until they are golden brown. -Add the tomato paste and stock. -Mix in the salt, paprika, and hot red pepper. Bring the mixture to a boil. -Gradually add semolina all-purpose flour, stirring. Cook, stirring constantly, until well combined, about 5 minutes. 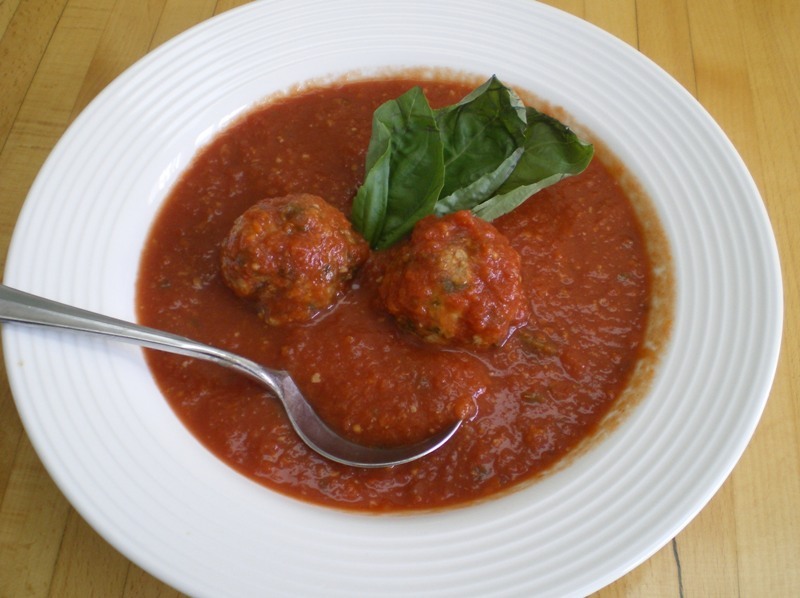 -Add the cooked meatballs and return to a boil, then remove from heat. -Garnish with some dried or fresh mint, as desired. - Moroccan and Tunisian cuisines are famous for using pickled lemons and olives. The pickles are not only served on the side, but also incorporated into the dishes.